As my latest search began for a new foundation, it ended with me heading to my local Boots store. 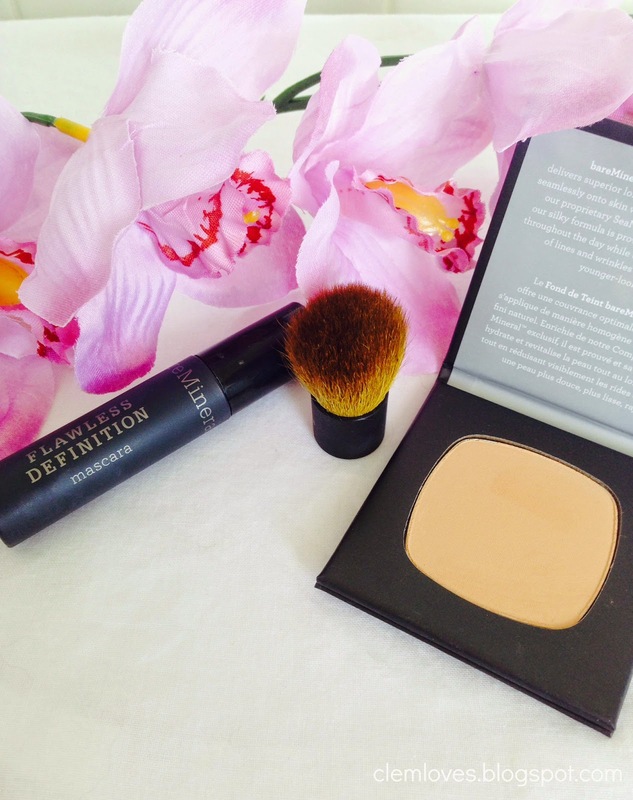 Being a BareMinerals virgin, I’ve often pondered at the idea of trying this brand. Having heard so many good things about using a mineral powder foundation, I decided to give it a try. My main aim when finding a foundation is, ‘Will I find one light enough to fit my skin tone?’ I have always found it hard to find a foundation to suit my skin tone, as I have very fair skin. I learnt my lesson a long while ago whilst still at school, was to make sure I pick the correct foundation for my skin tone. Having orange lines around your neck is no fun! So many years later I have come to the conclusion that maybe I would be better off with a powder foundation. They never really appealed to me before as I like foundation to cover spots and imperfections and to me I always thought that a powder foundation would not do this. But I overcome my fears of this and purchased a few items from the BareMinerals counter. After a quick tester to see which foundation suited my skin tone I decided to go for the BareMinerals foundation in Light. I also decided to get the started pack so i was able to try out a few other of their products. In the pack I got the original Mineral Veil Finishing Powder and the Warmth All-OverFace Colour, that are in the photos above. In the pack I got 3 make up brushes which I am obsessed with, they apply the powder so well and don’t malt. 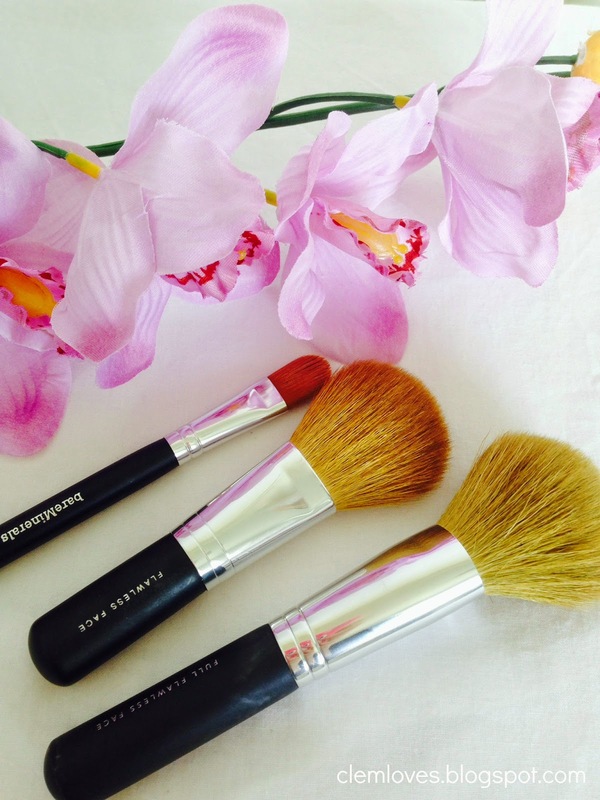 I use the Full Flawless Face brush to apply the foundation and the Finishing Powder and I use the Flawless Face brush to apply the Warmth All-Over Face Colour. 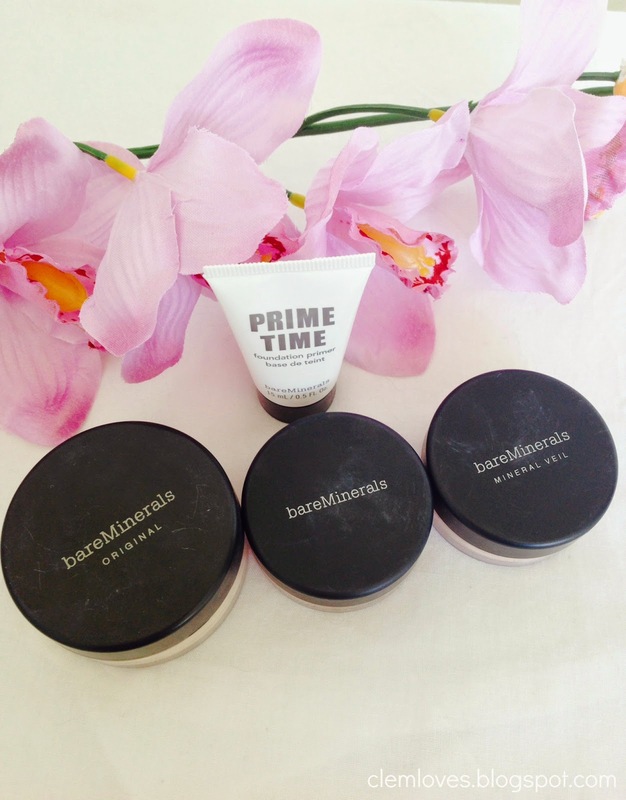 In the pack was a little tube of Prime Time, which is an amazing primer. 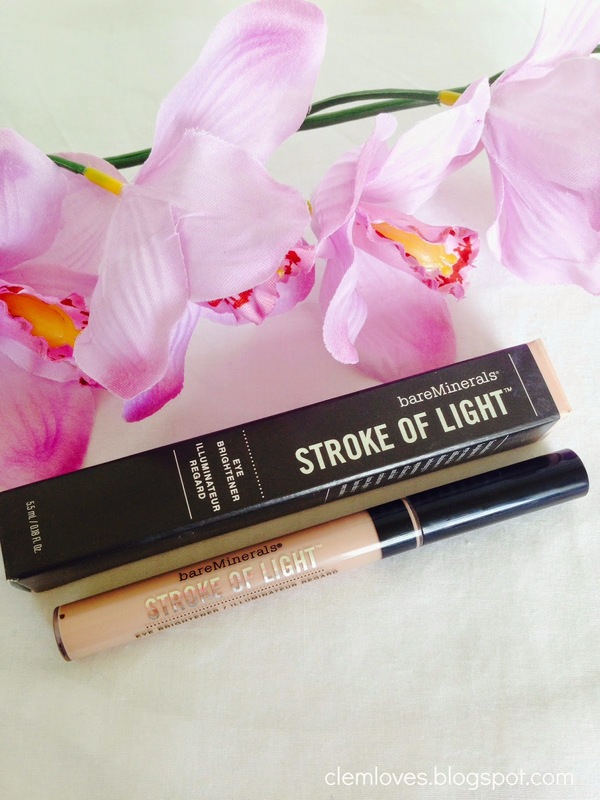 I purchased separately the BareMinerals Stroke Of Light Eye Brightener as I wanted something to hide those dark circles. I use the brush on the left hand side in the photo to apply this. I love the Eye Brightener as it really does cover those dark circles, I highly recommend checking it out. I also got given a couple of samples to try, the BareMinerals Flawless Definition Mascara and a tester of a little compact foundation. The shade in this is quite a bit darker than my skin tone though. This included the little brush that come with it in the photo above. 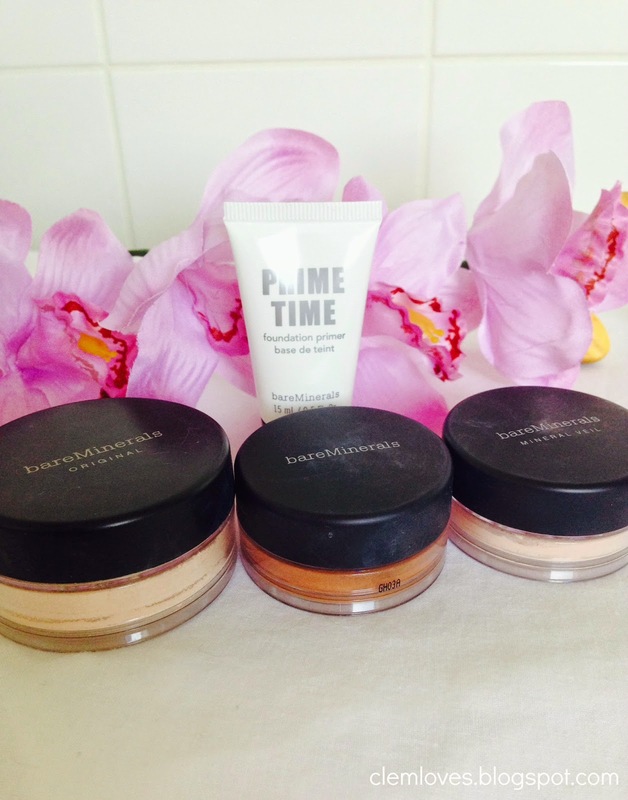 I highly recommend checking out the BareMinerals range, since using it I have noticed a real improvement in my skin and I am now obsessed with mineral products. The foundation lasts all day and covers up imperfections really well. You don’t need to use much of each product, so they will last a long time.